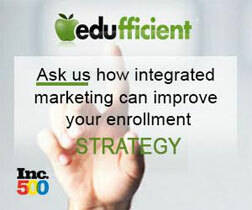 www.MarketDrivenEDU.com is for all those who work at Colleges, Universities, k-12 schools, career colleges, online schools or service providers who work directly with the schools. The site is a resource to research the industry, network with others in the industry in addition to browsing the current & colorful commentary from peers. Every month we receive thousands of unique Visitors. Executives at Colleges & Universities, Charter & Private High Schools as well as those that work at related services firms including: the investment community (investors, analysts, Investment Banks, Venture firms & PE firms), marketing & advertising professionals, Technology providers, Educators & Curriculum development, career services & other related service providers. Please feel free to send us suggestions for questions and/ or comments on how we can improve this site and provide you with additional value.